I’ve always known fiber is necessary for a healthy diet. When I lived in the suburbs, my mom bought this orange shake thing (I forgot the same) that was a fiber drink. It was supposed to make you more regular, as far as I remember? Lately, I’ve been learning that fiber keeps you full longer as well. I haven’t actually really done any research on fiber though so I am a little embarrassed to admit that I don’t exactly know what it is fiber does and why we need it. 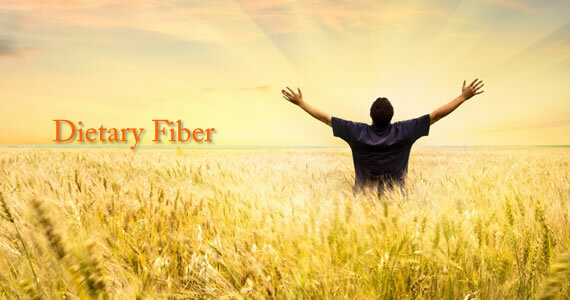 So first, what is fiber? Well that kind of freaks me out, why would I want to eat something that is not digestable by my body?! Well, apparently “eating fiber increases the immune system in your gut, feeds the good probiotic bacteria there, keeps the digestive lining healthy and absorbs and pulls out excess hormones, cholesterol, fat and toxins from the body.” [source] Fiber helps us digest and pass the foods we eat. By increasing our fiber intake, we decrease our chances for various diseases such as cardiovascular disease, cancer, diabetes, and obesity. Fiber slows the absorption of sugar into your bloodstream to help maintain stable blood sugar levels and help prevent Type 2 diabetes. Insoluble fiber is mainly made up of plant cell walls, and it cannot be dissolved in water. It has a good laxative action. Soluble fiber is made up of polysaccharides (carbohydrates that contain three or more molecules of simple carbohydrates), and it does dissolve in water. It has a beneficial effect on body chemistry, such as lowering blood cholesterol and blood sugar levels. Add frozen or fresh vegetables to soups, casseroles and a variety of other dishes. Gnu Fiber bars are natural baked fiber bars that I’ve seen some other bloggers consume in the past few months. I became intrigued. I’m all for more fiber in my diet! These bars have 48% of your daily fiber recommendation which promotes ongoing natural regularity, supports health health, and helps with diets and weight management. To get more specific, these bars are all natural and contain no artificial junk – no hfcs, refined sugars, cholesterol, trans fats, hydrogenated oils, sugar alcohols, dairy, or soy. Gnu bars have 12g fiber per bar, are under 140 calories, made with 6 whole grains, fruit juice sweetened, vegan, and kosher. Pretty cool. I love discovering new companies which are vegan and natural and yummy. Which brings me to my next point.. I’ve tried some fiber bars before and I wasn’t really diggin’ the taste very much. They tasted bland. Boring. Cardboard. But now, do these bars taste like cardboard? Actually, no! Surprisingly. They are chewy and even a little moist. The flavors are prevalent and distinct but not cardboard-y at all. They don’t even taste all wheaty or grainy either. Just like a snack bar. Which is awesome. Gotta love healthy taste bud trickery haha. I’ve tried one other fiber bar I liked, Fiber One, but that one is not natural and doesn’t have as much fiber as Gnu bars do. Plus, I know I’d rather eat a natural and vegan bar rather than a chemical laden one. Wouldn’t you? Have you tried any other good tasting fiber bars? Have you tried Gnu bars or Fiber One? I think a lot of people dont know how important fiber is. I’ve tried a few Gnu bars before and love them! They have a lot of flavor and keep me full for a while.